The Way You Receive Oil & Energy News Is Changing - For The Better. 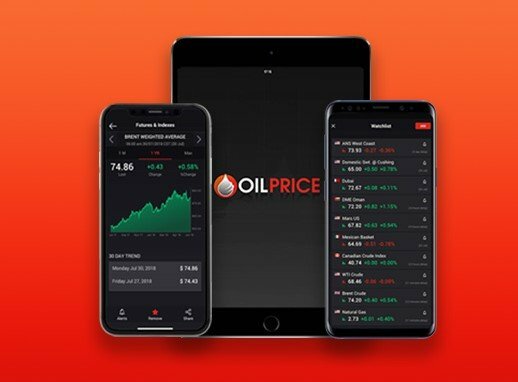 - Be The First To Download Our New App We are excited to announce the launch of the Oilprice.com app. With instant access to news and industry data, the app has been designed with the Oilprice Community in mind to deliver to the minute stats and global insight at your fingertips. We are delighted to invite the Oilprice.com Community to be the first to download the free app. The app is now available, free of change, for download through the App Store and Google Play. App Features Include: Energy News: Featured and trending stories in energy, oil news, alternative energy, finance news, geopolitics and more. Oil Prices: Get 200+ live global oil prices including WTI Crude & Brent Crude as well as OPEC blends, Canadian blends and US blends with price charts and comparison tools. Market Data: Get the latest real-time oil news and price data as well as market analysis at your fingertips. Alert Notifications: Receive daily news alerts from the energy topics and stocks that matter to you. Customizable Stock Alerts: Customize your personalized oil stock portfolio to notify you whenever stock has gone up or down - you set the prices, you set your targets. The Oilprice App is available for free download at the App Store and Google Play Store. 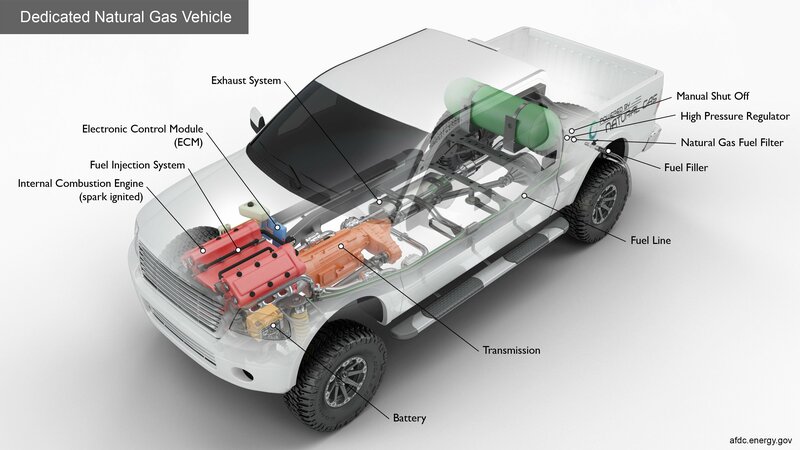 Pt.3 The Media - Information sources - Electric/Hydrogen/Natural Gas Vehicles/ Nuclear Energy "Oh dear". This blog is about how to engage positively and effectively with the Media (TV, Radio, Press, Social Media, Bloggers. Vloggers) - mainstream, regional, local, international - from my own "mainstream" experience: e.g. BBC World Service. The content I use will be controversial and often, given that this is a fossil fuels website, not pleasing to some. All the content is sourced and available in the mainstream Media. My consultancy work is giving Media advice to all industry sectors, face-to-face and via Skype - e.g. DHL. KIA Motors, Nord Stream, UK Independent Schools' Council. The different Media, like individuals, will often choose the sources of information that reflect their wishes, values and bias. Thus, understanding the (often political) agenda of different Media before you or your company engages with them is extremely important. Two key professional interests of mine are: 1. Investigating why the Fossil Fuel Industry has never fought back against claims such as: - it is destroying the planet and that CO2 emissions are a Climate problem - "Big Oil" is throwing money to Climate Sceptic individuals and organisations; which is demonstrably not so, but is the result of a clever and long-term campaign by Greenpeace who targetted Exxon some years ago to label it "Evil Empire". 2. The philosophy of science: especially Popper v Kuhn. Posts will not normally be this long, but here are a few bullet points with regard to the above title and in relation to various comments: Fossil fuels: - yes, pollution is a factor and is increasingly being limited - CO2, however, is not a pollutant and is vital for life on Earth. - produced and are still producing the high standard of living we expect and want - are not subsidised everywhere, and the use of them is usually very highly taxed to provide national governments with a massive source of income for public services - there are different grades of all these fuels; varying down to low-level pollutants - even coal can be non-polluting: e.g. Professor Rosemary Falcon heads the Sustainable Coal Research Group at the University of the Witwatersrand (Wits), Johannesburg (where Nelson Mandela studied law in the 1950's). LPG/LNG vehicles: I too drive an LPG vehicle and gas, having done so for years Renewables: - are all subsidised and paid for by taxpayers either in their domestic energy bills and in the government subsidies - often both - produce less energy than was used to manufacture, erect and dismantle them after their short life (20-30 yrs). These three processes create large amounts of industrial pollution. Global energy needs are expected to increase by 250% by 2050 as living standards rise. Estimates vary on global energy use and production - e.g. in 2017 renewables produced 8% of global energy according to BP. The most optimistic projections from the pro-renewables IEA estimate that by 2040 renewables will still represent only 30% of global energy production - and of that the biggest contributors will be Hydro-Electric Power and Waste, not the beloved wind and solar sources. Sources are contradictory and confusing because of inherent political (not scientific) agendas). On average it seems that global energy use has risen by 150% in the last 20 years, and as a percentage of energy production the world is even more reliant on fossil sources than before. Solar panelscannot be simply buried in landfill because they contain toxic chemicals such as lead, cadmium, antimony; the glass is usually not pure enough to recycle; plastics are an integral part of construction. The problem of solar panel disposal “will explode with full force in two or three decades and wreck the environment”because of "a huge amount of waste and they are not easy to recycle. Contrary to previous assumptions, pollutants such as lead or carcinogenic cadmium can be almost completely washed out of the fragments of solar modules over a period of several months, for example by rainwater.” Sources: (http://www.scmp.com/news/china/society/article/2104162/chinas-ageing-solar-panels-are-goingbe-big-environmental-problem) 40-year veteran of US solar industry (https://www.solarpowerworldonline.com/2018/04/its-time-to-plan-for-solar-panel-recycling-inthe-united-states/) (https://www.welt.de/wirtschaft/article176294243/Studie-Umweltrisiken-durch-Schadstoffe-in-Solarmodulen.html) Research scientists - German Stuttgart Institute for Photovoltaics. The International Renewable Energy Agency (IRENA) in 2016 estimated there were about 250,000 metric tonnes of solar panel waste in the world at the end of that year. IRENA projected that this amount could reach 78 million metric tonnes by 2050. (http://www.irena.org/publications/2016/Jun/End-of-life-management-Solar-Photovoltaic-Panels) Wind power is even less efficient than solar for all the production reasons above and is more unpredictable as an energy source; kills flying creatures to such an extent that in some areas it has become the "apex predator" where it takes out birds of prey. Nuclear towers do not create such carnage because they do not move and are highly visible. Nuclear Energy is the cleanest, safest and most reliable energy source we have. When there are problems they can certainly be on a large scale (Three Mile island, Chernobyl, Fukushima) but result in very few deaths. If you consider CO2 to be a major problem, nuclear energy produces none at all. Ironically, this year (2018) the floating wind turbine erected as at Fukushima as a symbol of renewal is being dismantled because of its high maintenance costs. "The price tag to remove the ¥15.2 billion turbine, which has an output capacity of 7,000 kilowatts, is expected to be around 10 percent of the building cost. Studies on the two other turbines are due to conclude in fiscal 2018, but the study period is expected to be extended to seek any possibility of commercialization. ... Its utilization rate over the year through June 2018 was 3.7 percent, well below the 30 percent necessary for commercialization. The two other turbines, of different sizes, have utilization rates of 32.9 percent and 18.5 percent, respectively." Source: Japan Times Nuclear "waste" is in fact a resource and not to be feared! " ... fission waste does not migrate even where there is significant groundwater, and ... ancient waste had none of the multi-layer engineered safeguards that are now developed, nor the careful geological siting." " by far the biggest resource in radwaste is in the transuranics and unburnt uranium. This could be used to increase the energy available from nuclear fuel by several orders of magnitude using fast breeder reactors, but such use is no longer being pursued in many countries, including the UK ([which] used to be the world leader up until the early 1980s), as uranium is too cheap to make it economically attractive at present." Source: Rolls Royce expert and recipient of the Institute of Physics Nuclear Industry Group Lifetime Achievement Award And no, it can't be used to make a nuclear bomb; and there are much easier ways for terrorist groups to make the usual "dirty" bombs than trying to get hold of nuclear residue. It is calculated that there are about 120,000 cubic metres of nuclear waste in the world - i.e. not enough to fill a soccer stadium, since the start of the nuclear industry in the 1950's. Nuclear use is already part of our daily lives. We already use radio cobalt in irradiating food and medical supplies; strontium or plutonium for generators in space travel; americium in smoke detectors; tritium in emergency-exit signage; various radio isotopes are used to diagnose and treat diseases. Soon it is expected that we will be able to split further uranium isotopes and all uranium's heavy metal derivatives. Given that my first interest is helping you and your company to deal with the Media, mainstream and otherwise, it is important to judge your audience and then tailor your information to help them take it in. My presumption so far here in this blog is that readers are well-informed, wish to be given reasons to reflect, think and debate civilly on what are very important matters affecting how we live. I also presume such readers are thinkers rather than activists. Trigger warning: further topics will include references to and buzz words such as coal, climate change, CO2, sea levels, non-AGW, geological time scales, IPCC, Greenpeace, Big Oil and the like. Former Chinese Communist Party leader Deng Xiaoping presented his “Cat Theory” to introduce a capitalist market economy for Mainland China. As per the theory “It doesn’t matter if a cat is black or white;as long as it catches mice,it’s a good cat.” The “Cat Theory” which he put forth was to convince policy makers for the radical shift in economic policies. “Cat Theory” is also relevant if one looks at the way China is pursuing its geo-political interests using its economic clout. There is one more distinct quality about the cat which makes it a stealth killer. When the cat advances towards its prey it hides its claws. Kenya is latest in a series of nations to feel the claws of Chinese debt. Latest report attributed to Auditor General suggests that strategic Mombasa Port could land up in the hands of Chinese Bank, EXIM Bank if Kenya fails to repay the loan amount. Though, the Audtior General Edward Ouko has issued a denial. But it does not mean that Mombasa port will not become Chinese one day as we have seen the example of how Sri Lanka handed over Hambantota port to China to pay off its debt. To sustain higher economic growth China needs unfettered access to raw materials for its factories and a market to export its finished goods. At a time when China is facing pressure from United States of America over trade,Africa offers tremendous opportunities for Chinese economy. Infrastructure investment in Africa reflects China’s decades-old strategy of using soft power. More recent investments in Kenya and Ethiopia represent an extension of the Chinese President Xi Jinping’s Belt and Road Initiative (BRI). BRI is a trillion-dollar investment strategy which focusses on developing transportation sector and infrastructure, particularly in Eurasia region but also in East Africa. The amount of Chinese loans to Kenya has grown tenfold in the five years since China unveiled its Belt and Road Initiative. In May 2014, Kenya and China inked Sh 327 billion railway line agreement. According to the terms of the agreement,China had to finance 85 per cent of the total cost through Export and Import (EXIM) Bank while Kenya had to bear the remaining 15 per cent of the projects’ cost. The rail line pened in May-2017. China financed Nairobi-Mombasa Railway link is touted as the biggest infrastructure project in the history of independent Kenya and is a part of Kenya Railways Corporation’s new Standard gauge railway (SGR) line. The Mombasa-Nairobi rail connectivity will cut down travel time by half. It will benefit passengers and cargo transportation. The SGR project is expected to link Mombasa to Rwanda with a branch line to Juba in South Sudan in future. This Mombasa-Nairobi railway line will give China access to South Sudan in near future. The oil production of South Sudan is dominated by Chinese oil majors. China National Petroloeum Corporation (CNPC) pumps nearly all of South Sudan’s oil production. After cessation in 2011,both Sudan and South-Sudan are now mutually dependent on oil revenues for their economic survival. South Sudan is landlocked and has 75 percent of the oil reserves. The oil from the fields of South Sudan is transported through 1600 kms pipeline to reach export terminals in Port Sudan and then it reaches to refiners in China. On August 30th 2018 South Sudanese President Salva Kiir Mayardit paid a visit to China National Petroleum Corporation Headquarters and had talks with Wang Yilin about further deepening oil and gas cooperation. A memorandum was also signed after talks to boost existing production and consider acquisitions of new acreage. The high profile visit signifies the closeness of South Sudan and China. Mombasa-Nairobi link when it will be joined with Juba in South Sudan through branch line then it will open an alternate route for Chinese companies and South-Sudan for trade and export of Oil. Moreover, cost is critical in the production of goods and to remain competitive in the globalized economy. 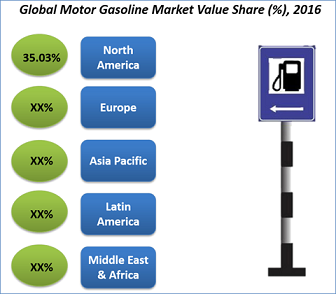 Fuel is one such factor that has cascading effect on the entire supply chain right from manufacturing to retail. In September, 2018 Sudan Ministry of Petroleum signed an agreement with three oil companies operating in Sudan and South Sudan to pay a transit fees of $14 per barrel. One of the companies that signed the agreement is China National Petroleum Corporation. In addition to it, if oil is shipped through Sudan, Chinese companies will also have to pay fees for marine terminal usage. Therefore, opening up of an alternate supply route using Mombasa port and railway link will give an edge to China. Therefore, Mombasa is a strategically important port for China as it will be a gateway to South Sudan. IMPROVING ROI THROUGH TREND ANALYSIS is a hallmark of prudent financial analysts and CEO's, often leading to long, prosperous tenures. With rising sentiments surrounding the negative impacts of fossil fuels, and a reluctance of oil, gas and coal producers to recognize, let alone embrace global trends and zero emission synfuel technologies that could provide substantial market lead and much higher earnings for less cost, few if any industry CEO's today will still hold their title in 2-5 years, as only those firms offering fuel products which align with public sentimentl offered at a much lower price and cater to a changing political landscape will remain profitable. The full article is here-> https://www.daily-times.com/story/money/industries/oil-gas/2018/12/18/delaware-basin-news-reveals-public-misunderstanding-oil-industry-economics/2282224002/ "This writer has warned that world oil demand is sluggish and imprecise with only references to legacy guesswork that the developing world plus China demand will support prices long term or forever. Yet, world oil consumption has increased only 5 percent in the last 10 years. OPEC, with Saudi Arabia as its leader, has expired as the world administrator of the price of crude oil. At its December meeting in Austria, Qatar quit after nearly 70 years and announced concentration in LNG production and world export as the existing market leader. OPEC emerged with a serious factional split between OPEC original and OPEC with Russia. There would have been no agreement without Russia and its old Russian Federation members as producers. Moscow is the new world oil price-setter indirectly while OPEC Original becomes a collaborator in cartel for now. Simply put, Saudi Arabia no longer is the “residual supplier” alone. The production roll-back of 1.2 barrels per day by both “OPEC” is not enough for “balance” supply and demand for world crude oil. It is being tested daily by commodity traders. In a briefing to New Mexico independent and small producers before the meeting in Austria, this writer warned that 1.7 million b/d was needed for balancing stabilization. Without that size of a production and export reduction, the average price of WTI oil in 2019 will average $50 per barrel. Nearing 12 million b/d and over the Permian producers voluntarily will be required by this price to revise capital spending and place production into DUC (non-completions) and storage. There is doubt that the export of tight or shale oil would continue if the Brent price falls lower and loses its premium over WTI. A net cutback of Permian between 500,000 to 750,00 b/d should be a non-OPEC response to an oil glut even more serious than 2014. Saudi Arabia is untouched as an American strategic ally in confronting Iran in the Middle East as a hegemonic threat." We where supposed to have a deal on Thursday with OPEC so what happened? If you found a good deal on a house, would you delay the closing? You would if you saw some problems with the deal. Well what kinds of problems do we have with OPEC cutting productions and why wasn't it made today, after all the whole world is waiting. For the prices to stop going into a free fall and hit my $34 target, they need to cut production, Saudi by about 2 Mill barrels and Russia by 300,000 barrels, or at least 200,000 barrels. Well Russia did not have an answer today? Why? Well lets see where Russia Oil fields are? Well this looks like a very cold place, if im not mistaken it gets to -70 Celsius in the winter. Ok so whats the problem? If you live in Northern Canada, you know you need to not turn off your heat in the winter to your pipes wont freeze. Well guess what, Russia won't be able to cut production in the winter, and it will need to wait until temps are above freezing, maybe March / April 2019. So that means Russia wont be able to cut, so why should the Saudis cut, so they will cut im comparison with Russias cuts, which wont be enough to stop the fall of Crude Prices. The fact that Qatar will leave next month, will be a blow for OPEC. This will weaken them in their ability to enforce production cuts from all its members. Lets also remember US is investigating OPEC for price manipulation. 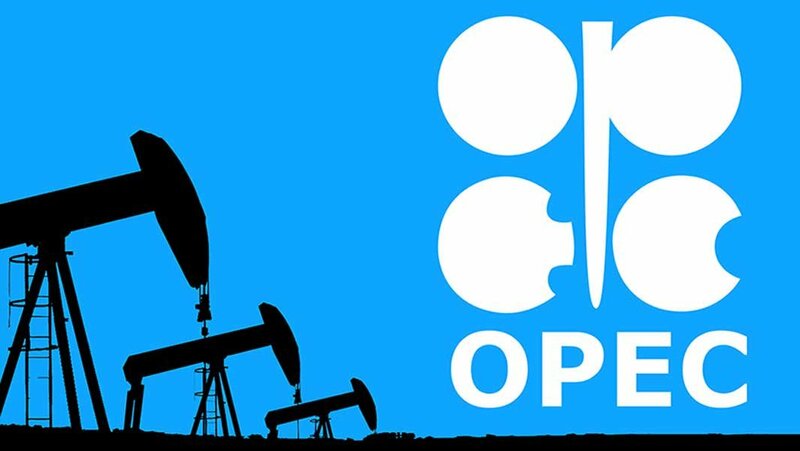 Russia is not part of OPEC and can refuse to cut production. Shale oil is getting more efficient, selling oil at $10 under par. In Canada its now $43 under par. Bottom line is, oil prices are in a free fall. There has been lots of rift between the Saudis and Qatar, for quite some time. 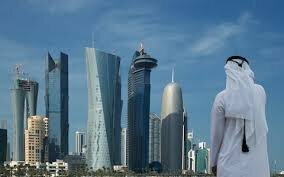 Saudi Arabia is accusing Qatar of financing terrorism. The Saudis are trying to give Qatar lots of problems, and Qatar fought back, by damaging OPEC and leaving. This will be the beginning of the unraveling of OPEC as I predict more nations to leave OPEC. This will also give OPEC less control of oil prices. Therefore any production cuts from OPEC in the future could soon become meaningless. The full article is here-> https://www.daily-times.com/story/money/industries/oil-gas/2018/11/25/analysis-trump-and-saudi-collision-oil-bingamans-return-santa-fe/2015081002/ "In an earlier column, readers overseas benefited from this writer’s forecast that crude oil prices would fall dramatically because most commodity traders got it wrong. Simply, this column’s analysis was the buying of oil assumed a shortage would result once the sanctions against Iran would be activated the first week of November. President Trump wanted lower oil prices with OPEC and Saudi Arabia pumping more. Two weeks ago, a call from the Middle East confirmed readers of the column had followed the analysis in the Energy Magazine and sold Brent oil — and profited. Oil has slumped under $60 as the delusion of a shortage vanished. In the November issue column, this writer made a call: the oil price would reach $50 as a low. There is no change in that forecast. The price in the commodity market for WTI crude would touch in the very high $40 range before the Saudi-led production cut-back is realized. Why? Again, too much capacity to produce too much oil for demand. What's the impact on SW oil? Oil demand without commodity traders’ bets on the sanctions against Iranian oil production and export contradicts flagging demand. Some Southwest shale producers, faced with discounts on domestic sales, are exporting oil to world markets and capturing the higher Brent price or differential between the WTI priced Midland domestic and the Brent price for the World. But this would shift Southwest tight oil into a world market where such supply also chases weaker demand. This switches U.S. oil into world oil as exports and diverts it from going into U.S. storage. Unlike the last three price sell-offs Saudi Arabia, speaking for OPEC, is strangely silent on calling on non-OPEC producers join it in lowering production or “balancing” the market. Quite the opposite. Led by shale producers in the Delaware (New Mexico) Basin in the Permian complex, United State production approaches 12 million barrels per day, a historic high and number one position against the Middle East and Russia." The latest report from Credence Research on “Oil Storage Market” market offers comprehensive understanding on market sizes and trends, competitive analysis, and market forecast from 2018 to 2026. Credence Research report helps to discover future business opportunities for stakeholders in this sector by highlighting different aspects such as potential revenues streams, market drivers, opportunities, challenges, issues, and events impacting the “Oil Storage Market” market. “Oil Storage Market” market report covers detailed analysis and forecast for “Oil Storage Market” market segmentation, leading continents along with major countries, and profiles of major companies operating in “Oil Storage Market” market. Browse Full Report with Toc: https://www.credenceresearch.com/report/oil-storage-market Credence Research employs extensive research methodology to derive market size and forecast. Detailed secondary research has been conducted by exploring “Oil Storage Market” related sources, directories, and databases to grasp the market information and dynamics, followed by primary interviews with industry experts, and subject matter expert’s input to further validate the information sourced. 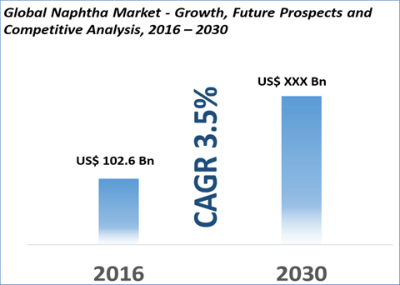 Market size estimation involves triangulation of the data obtained from various approaches such as bottom-up, top-down, demand-side, and supply-side. 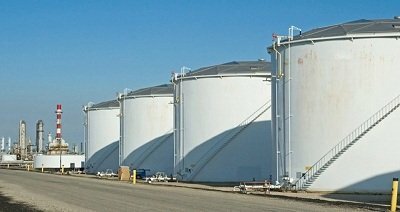 The report studies different segments of “Oil Storage Market” market and provides both, qualitative and quantitative analysis along with competitive landscape, profiling of key players and their preferred development strategies that helps to formulate competitive market strategies and take informed decisions. How this report is useful? The “Oil Storage Market” report will reinforce the strategic decision-making with authentic and reliable market data. It identifies the key competitors operating in the market and their positioning and strategies. The study reveals the new and upcoming technological trends to give you an edge over your competitors. Market data, dynamics, and industry model covered in the report offers clarity on different markets across the value chain and support the decision making regarding entering and exiting the industries. The study also highlights the investment opportunities and revenue pockets present in the market. Download Free Sample Here: https://www.credenceresearch.com/sample-request/58146 Who should buy this report? · Stakeholders across the “Oil Storage Market” market value chain. · Business development managers · CEO’s · COO’s · Marketing managers · Technologists · Suppliers · Investors · Banks · Government agencies Major highlights of the study · Global “Oil Storage Market” market outlook · Classification of the “Oil Storage Market” market based on their major segmentation and Geography · Market segments analysis with respect to geographies and their respective countries · Industry analysis such as SWOT analysis, Value Chain Analysis, and Porter’s Five Force model for “Oil Storage Market” market · Analysis of the key drivers, restraints, and future prospects at global and regional level · Market positioning of key players · Profiles and competitive dashboard of the leading 10 companies in 2018 at a global level By Reserve Type Commercial Petroleum Reserve Strategic Petroleum Reserve By Geography North America Europe Asia Pacific Latin America Middle-East & Africa (MEA) Key players across the global defoamer’s market value chain are: Oiltanking GmbH, Royal Vopak N.V, Horizon Terminals Ltd and Magellan Midstream Partners L.P., others.